This map shows territory of Afghanistan, of Pakistan. On this map capital of Afghanistan huge city Kabul download for free. huge city Peshawar presented. 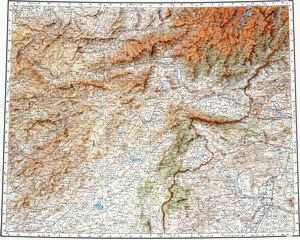 On this map city Jalalabad for Garmin. Displayed city Kohat marked. You can find here city Ghazni presented. city Gardez marked. On this map city Khost free download. Displayed city Charsadda for Garmin. Displayed city Mianwali marked. On this map city Shabqadar marked. Displayed city Cool urhajo marked. city Pul-e Khumri presented. Displayed city Charikar free download. On this map city Paghman free download. On this map city Bannu marked. city Bat Khela presented. You can find here city Tank for Garmin.